The following sections describe each option in details. The specific kinds of memory that are shown are determined by the Advanced or Production Mode settings. This option toggles between showing and not showing the memory. A check mark before the option indicates it is enabled (showing) in the Memory View pane located near the bottom of the window; unchecked indicates that the memory is not showing. The figure below shows the Memory View pane. The viewable memory types are determined by the Production settings that are set in the Advanced Mode. If the Config Memory is enabled, the configuration settings can be edited. Select Config Memory from the drop-down list in Memory View. See figure below. You can use the scroll bar to view the Setting column on the right. See figure below. Click the setting you want to edit and a list displays that shows the options that are available for that setting. Click on your selection. See figure below. Undock/Dock – when viewing the memory window, a right-click menu is available with options to undock, fill memory and print. See figure below. The memory window can be undocked to view a larger area in a separate window. 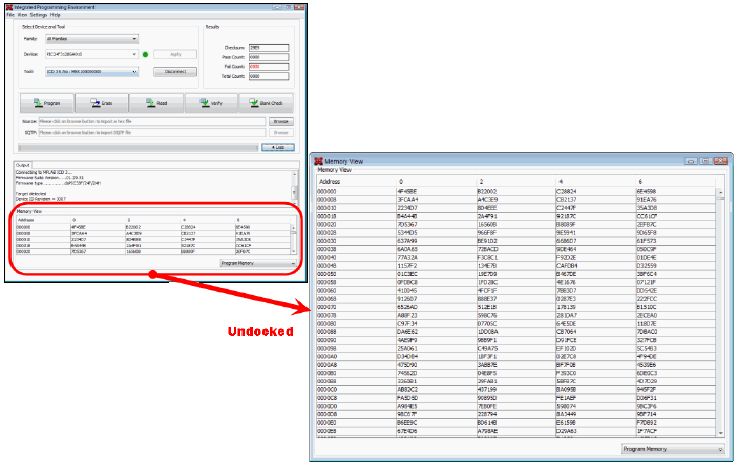 Right-click on any value in the Memory View and select Undock (see figure below). To return the undocked window to the IPE window, either close the memory window or right-click and select Dock. See figure below. 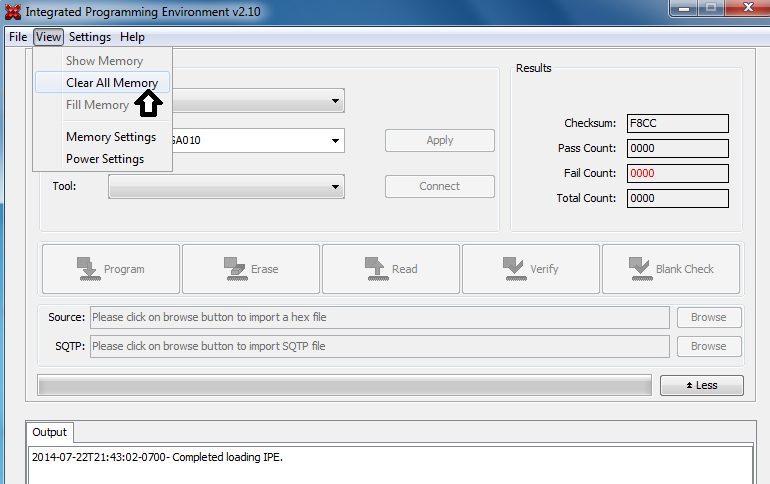 By clicking View > Clear All Memory from the View Menu, the IPE clears all of the memory views. See figure below. The Fill Memory can be enabled in the Advanced Mode. After it's been enabled, the Fill Memory Option is available under the View Menu. See figure below. 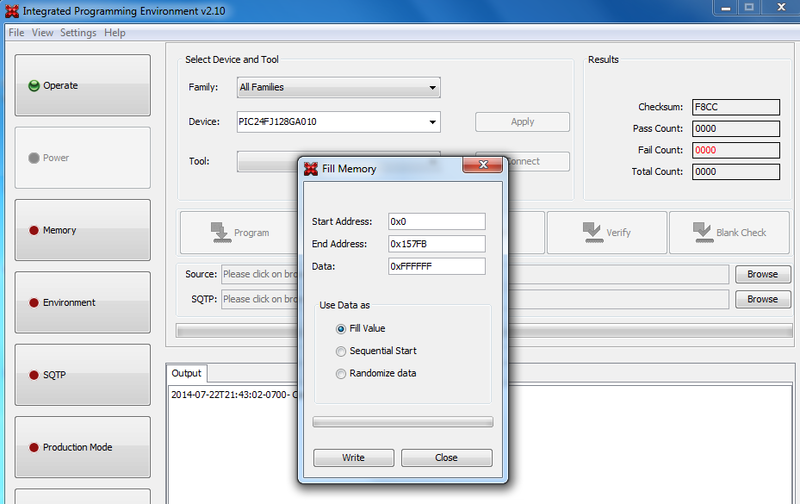 The figure below shows the Fill Memory dialog box after clicking on the Fill Memory. The table below summarizes the Fill Memory dialog box options. The Memory Settings displays the current memory settings. The Memory Settings are view-only and cannot be changed from this window. 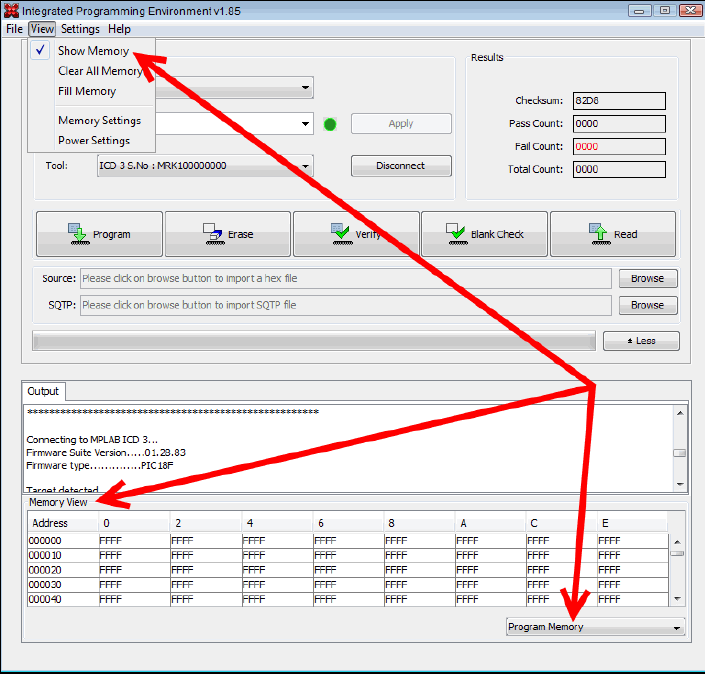 The figure below shows the Memory Settings dialog box. Power Settings displays the current power settings. 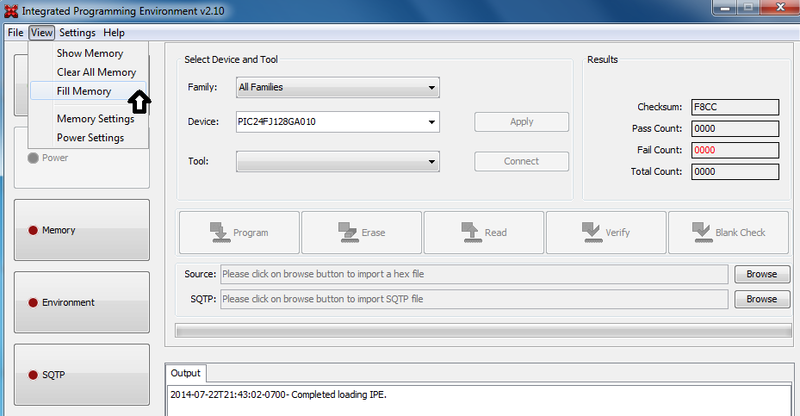 The figure below shows the Power Settings dialog box.